I've been seeing corn in the stores already. If you can't find fresh - frozen will work well. Fill a large pot about 3/4 full of water and bring to a boil. Stir in sugar and lemon juice, dissolving the sugar. 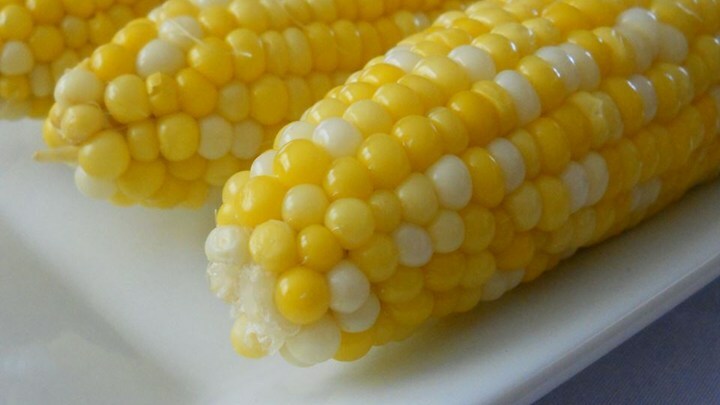 Gently place ears of corn into boiling water, cover the pot, turn off the heat, and let the corn cook in the hot water until tender, about 10 minutes. You can have your Smoothie and EAT it too! Best (and Easiest!) Rice in the World! Make Ahead Snacks To Boost Your Energy!